Terrorists in Syria were trying to smuggle ammunition by hiding them inside a cow, but their plot was foiled by Syrian Army. Syrian soldiers have intercepted a shipment of ammo allegedly originally destined for sleeper terrorist cells in Damascus. The cache of ammunition was hidden inside a carved up and poorly stitched cow, which was used by the terrorist as a smuggling vessel. The weapons-stuffed animal was discovered at an army checkpoint on the outskirts of the Syrian capital, Damascus when security forces pulled over a KIA truck earlier this week, Arabic-language news outlets reported, as covered by ABNA. Checking the live cargo, the soldiers discovered a 25cm long cut in the side of the cow that had been badly stitched up. Suspecting foul play, authorities authorized the slaughter of the cow. 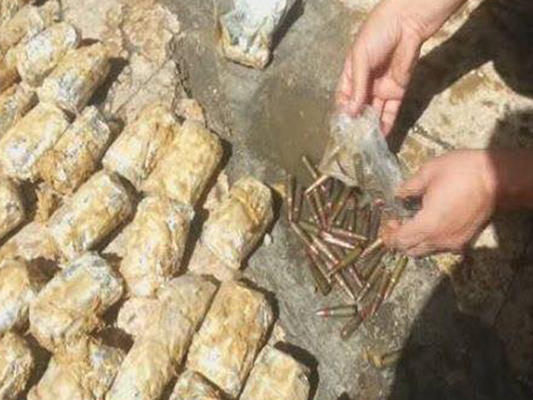 Inside the belly of the dead animal, the soldiers found dozens of small boxes of medium and light-calibre ammo for machine guns, ABNA 24 reported. A source in the Syrian military told Sputnik that the militants were apparently attempting to smuggle weapons from Daraa to Damascus to help militants in the capital carry out terror attacks against multiple targets. The driver of the truck was immediately arrested after its discovery and subsequently confessed that the ammo was sent by Daraa militants to sleeper cells in Damascus.